Disabled people often have difficulties in receiving dental care. To overcome those difficulties, innovative solutions have been developed. One of those solutions is the concept of the “mobile dental clinic” which brings comprehensive dental services to the people who may struggle to receive care in traditional ways. A non-profit organization called the Westchester Institute for Human Development recently unveiled its 39-foot mobile dental clinic in August 2018. The mobile clinic is designed to serve disabled children and adults in the greater Hudson Valley region of New York. The clinic, based on a Winnebago chassis, replaces an older version that had served the community for many years. Patients receiving care in the mobile facility are attended to by licensed dental practitioners and registered dental technicians. Routine cleanings and checkups are only a part of the many services available to patients; cavity fillings and tooth extractions are also possible. Diagnostic imaging is available, thanks to the onboard x-ray equipment. The mobile clinic was funded through a New York State grant called the Statewide Health Care Facility Transformation Program. The cost was $376,826. The previous mobile clinic operation in the Hudson Valley served between 40 and 50 patients a week; the new mobile facility will increase that load to 70-80 patients per week. The clinic makes 15 stops at area agencies serving disabled children and adults in the region. Most people take dental care for granted. For those people, routine visits to the family dentist are common and are typically covered by some form of dental insurance, either self-purchased or as part of an employee benefits package. Unfortunately, underserved populations do not have this ready access to dental insurance. Dental care can be expensive, especially for those paying for services out of pocket. The costs and lack of access to dental insurance can be prohibitive, serving as a nearly-insurmountable barrier to adequate oral healthcare. Disabled patients have even more potential barriers to overcome. A sizeable percentage of disabled dental patients may require specialized care, including sedation, to deliver dental treatments. If those disabled patients do not have dental insurance, they are effectively barred from receiving care. Funding for underserved and underprivileged patients, including children, adults, and the disabled is scarce; in some states, dental practitioners are reimbursed for only a small fraction of the treatment costs by state funding and federal Medicaid programs, leading to denials of service for many of the people who desperately need dental care. The mobile dental clinic operated by the Westchester Institute for Human Development is one elegant solution used to overcome treatment barriers. By providing competent care to disabled individuals, the Institute and its compassionate dental providers are able to reach those who cannot receive dental care in traditional ways. 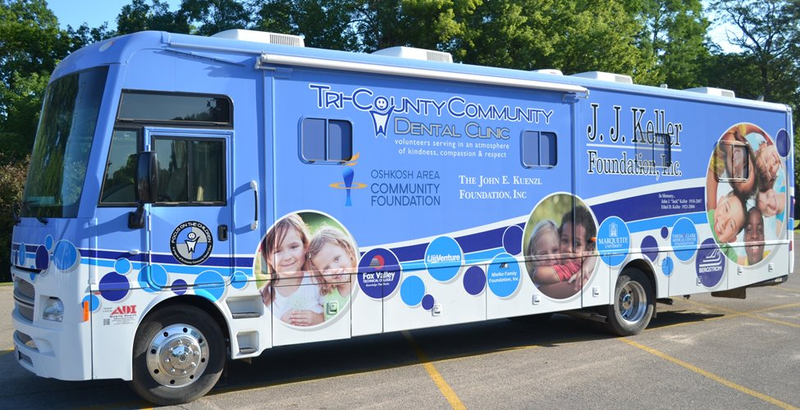 The mobile dental clinic serves as a model for organizations throughout the United States, says Thomas E. Cooke, and it is hoped that additional clinic operations take root in other areas of the country. Are you tired of smoking joints? Want to regain your energy? Stop wasting your money? But you have trouble getting started, afraid of not getting there. Then you must follow addiction detox, below are ten tips based on testimonials from former smokers. For starters, you might want to take some time to think about what made you start. Why did you try? Keep on going? What pleasure do you experience while smoking? There would be no problem with drugs if they did not bring you anything. It is easier to mourn these pleasures by mentioning them. In a second time, think about your motivations to stop. Why do you want to quit cannabis? Will you gradually decrease or stop at once? Once you have made your decision, choose D-Day. Try to make this date coincide with a period when you are not under too much stress. Some people even establish a “non-smoking” contract with themselves. This is also what advises to do the Guide to stop cannabis. So, you can note on a date on which you made the decision not to smoke plus your three or four main motivations. You can bring out this contract or think about it if you feel like you’re going to crack. If some of your friends are in the same situation as you, why not join forces? You can set a common date and organize something symbolic for your first day off. Not being alone, having someone to share your anxieties and difficulties can be interesting. It can also be more motivating to register in a sports club, the pool and why not go on a trip. But if you do not find friends ready to stop with you, nothing is lost: you can turn to groups of lyrics where you will meet other young people in your situation. It will be a great strength that will help you feels less alone, especially if you have to go with your usual friends and give up some evenings to stop smoking. Sometimes investing in your studies, work or training can boost you and motivate you to stop. To need to feel in full possession of one’s intellectual abilities, having to bend to a new schedule can help to stop and also to invest more in one’s work. Rhinoplasty is an elective procedure in most cases, but that does not mean it should be taken lightly. Anyone who decides to undergo a nose repair should follow a series of steps in the days and weeks prior to surgery to ensure that they achieve the best results with the shortest possible recovery time. The information below is a very useful guide, but all patients should consult their doctor about how to obtain more specific instructions. The most important step when deciding on a nose repair is the consultation with your possible rhinoplastysurgeon, since it is essential to determine if both share the same objectives and to know what to expect realistically. You can explain to the doctor what the ideal aspect you would like to achieve is. Magazine photos or other resources will facilitate the process. Based on this, the doctor will examine your nose carefully and explain what can be done. The doctor can also take pictures to make a 3D model of his face and thus represent the possible results of rhinoplasty. All this, coupled with a detailed analysis of your medical history, will help determine if you are a goodcandidate for a nose reshaping. 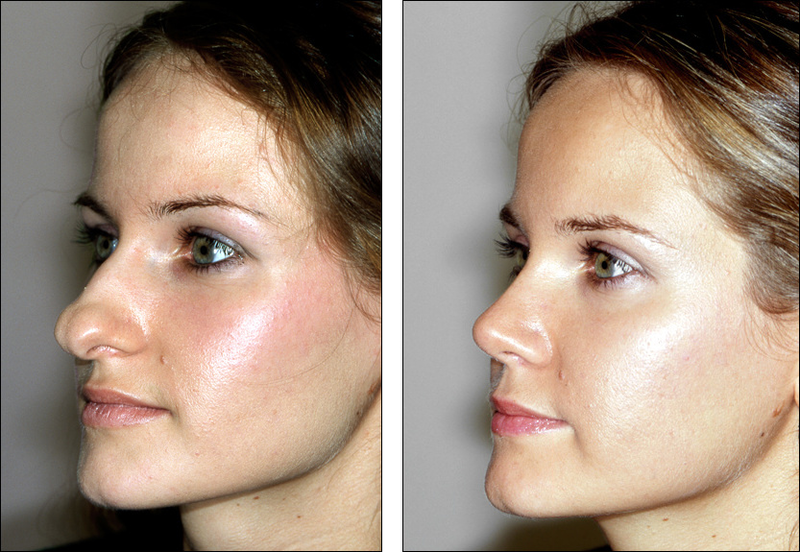 Now the rhinoplasty Miami services are perfect for the best results. In addition, the consultation is a good opportunity to learn more about the references and professional history of the surgeon. Some of the questions you can ask during the consultation are how often you perform nose operations, if you are certified and by what advice, and how often your patients need a revision rhinoplasty. Take this opportunity to learn about the facilities, the surgeon and the staff to whom you will entrust your dreams of obtaining a new face. Make sure that this is the right surgeon before scheduling the nose repair so you can fully enjoy the benefits of rhinoplasty. With the fine nose job Miami you will have the best deals. It is very important to have a reliable friend to help you through the recovery process of rhinoplasty. You will need someone to take you to the clinic before the nose repair and to pick it up after it has been completed, as you will not be able to drive safely immediately after surgery. Having someone in your house (preferably someone who can drive if the supermarkets and other stores are far away) will allow you to meet their needs as they arise in the days after rhinoplasty. It is very likely that you have to stay in bed during this time and that you cannot take care of household chores; therefore, make sure that the people who care for you are attentive, considerate and responsible. The nose surgery Miami services are dedicated about it. Over time, gravity affects the skin and pushes it down, causing it to flaccid. However, gravity is not the only one responsible. The causes of the loss of the tonicity are the diminution of the production of collagen, the reduction of the production of cells of the skin and the damage of the free radicals of the environment. You can incorporate habits into your daily routine to stimulate collagen and the production of new cells, in addition to fighting free radicals. Always apply lotions and creams with firm ascending movements. The areas of the neck and the line of the jaw are within the first areas where the skin loses its tone. Incorporating upward movements whenever you apply cosmetics can have a positive effect over time. Separate the egg white and gently flick it off. Apply it on your face and neck and let it dry for 15 minutes. Egg whites strain the dermis and are more effective than many sera indicated for facelift. Not only do they lift the skin by its natural astringent capacity, but they refine and close the enlarged pores. 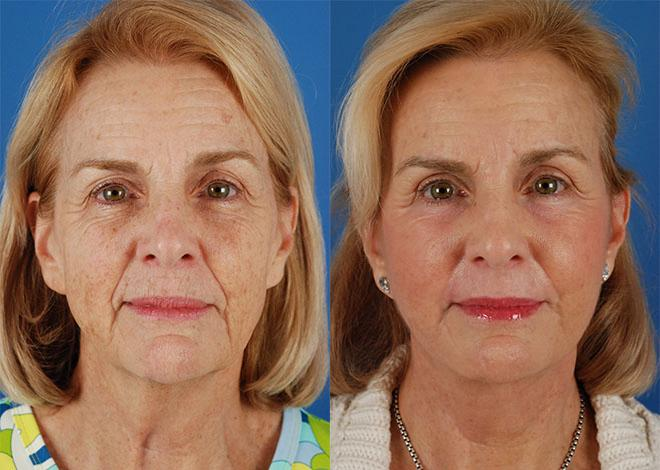 For the perfect facelift Miami service, this is a very important part. A well-known remedy among the famous to lift the skin is the hemorrhoidal cream. This cream contains shark liver oil and yeast, which shrinks the tissue and gives firmness to the skin, achieving a stretch in just minutes. It is widely known in its treatment of bags under the eyes, but can also effectively shrink all forms of flaccid skin. Snow Drift Farm (stay in the snowdrift), a young and active website, suggests adding a touch of hemorrhoidal cream to your moisturizers so that the skin looks firm and young. Take a silicon supplement. According to the article “Silicon and your body”, this chemical element retains the moisture of the skin and is the main component of collagen. Fills and lifts the sagging skin of the face and body. For the essential neck lift Miami works also similar options are used. Eat on a diet of fresh fruits and vegetables. Remember that one of the causes of flaccidity are free radicals in the environment. Fruits and vegetables are rich in antioxidants such as vitamins A, C, E and beta-carotene. These antioxidants fight free radicals found in the sun and pollution, and repair the damage to the skin. When you apply creams and lotions, just touch the sensitive skin around the eyes with your big or ring finger. This is the weakest finger, so it will not stretch the delicate skin of this area. When using haemorrhoidal cream on the face, first test it on a small section of skin at the nape of the neck to make sure it does not cause irritation. More often than not, expat moms-to-be, are torn on whether to give birth in their host country or fly back home. For international teachers, wives of expats, or employees of multi-nationals located abroad, giving birth abroad is the only option. Why? For one, most airlines have restrictions on pregnant women flying near their due date, and it is not easy to just pack and leave to give birth to one’s home country, then fly back in again to the host country after. Giving birth abroad has some merits and one of those is a second citizenship for the child. North, South and Central American countries practice jus soli, which means a baby born in that country automatically become a citizen of that country. In most countries, the practice of jus sanguinis wherein citizenship is determined by the child’s parent or parents’ citizenship. Prior to 1972, Thailand practiced jus soli: but due to the influx of illegal immigration from Burma, it has become law that both parents must have legally live in Thailand for at least 5 years. Malaysia, Hong Kong, Australia, Germany, Iran, Cambodia, New Zealand and more do not recognize jus soli. If you have the option to give birth in a host country, there are various things to consider. Dual Citizenship Clause – Even if one’s host country honor’s jus soli, one’s home country or host country may not offer dual citizenship. Though there are countries that do allow dual citizenship, they only do so with a small number of countries. In this connection, it is best to find out the host and home countries’ law on dual citizenship. Note that children of diplomats and other government official from other countries are not recognized US citizens if born in America. Liability on Taxes –Countries such as the USA tax income that is earned or gained in other countries. Some countries do not recognize tax global income and will not collect taxes for those living abroad. In a sense a US dual citizen will pay more in income taxes as he is required to pay home and host’s income taxes. Due to global threats and acts of terrorism, more and more countries are adding precautionary measures to citizens of Arab and Muslim nations. After 9/11, the US has adopted the policy of questioning and fingerprinting Muslims and Arabs who enter US ports of entry. Pakistan practices jus soli but one should take into consideration that Pakistanis are subjected to sterner immigration and travel laws. In most jus soli countries that offer birthright citizenship, basic education in public schools is free. However, the cost of college education varies, but most public colleges and universities offer much lower school fees, or subsidized college education for permanent residents and citizens. Prenatal care and delivery options in a host country may not be exactly the same as offers in one’s home country. In this connection, it is very important to find out the common practices of a host country relating to this concern. Cost could be a problem to more so if prenatal care and delivery are not covered by the expectant mother’s health insurance. However, most hospitals afford maternity packages that cover prenatal care and delivery. Maternity and paternal leave offered by the expectant couple’s company may be different too. In some countries, these leaves can be as short as 7 days, and as long as over a year. In Sweden, paid parental leave is as long as 480 days. In Thailand, 90 days maternity leave with full pay of 45 days from employer and 45 days from Social Welfare fund. In the United States, 12 weeks of unpaid maternity leave is offered. It is also a good idea to check out hospitals as practices may differ. Some hospitals in Asian countries require patients and companion to take off their shoes and wear hospital-issued sandals. After the birth, one should take time to report to one’s home country embassy to register and apply for the baby’s passport. Hello everybody! My name is Mariam Bellina, 31 years old. I am doctor fellow in Health Centre. I want to guide you to be healthy life. In this site you can find any health tips and health guide to make you more healthy.